Parents often ask me how to help their child become more organized (and responsible). Some children are organized. Some are not. How do some become so disorganized? How do we fix it? 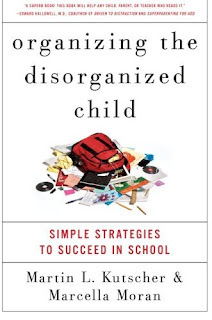 If your child is organized, read this book -- It will help you understand why your child is unorganized. And really, he (she) isn't doing it on purpose. He is not being lazy -- he just cannot figure out the steps to complete the tasks. Organizational skills come from the frontal lobes of our brains. Our frontal lobes help us reduce distractions, and allow us to have have foresight, hindsight, to plan ahead, and alter our plans. We expect children to have much "higher level" executive function before their brains are fully developed. They know what they need to do -- but they cannot do it. 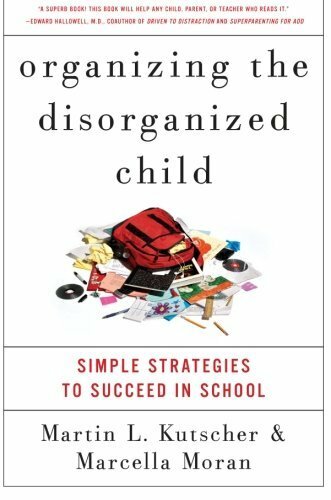 This book will help you to determine the organizational style of your child, then set up an environment and develop strategies and a routine to help support your child. Organizational skills are key to a successful educational experience. If you read this book -- and need me to do anything to help support your child at school (to provide consistence between school and home), please let me know. This book is available Chapters/ Indigo and the online price is about $12. It is also available at the Toronto Public Library, which is my favourite source of books, next to Earl Beatty's own library!